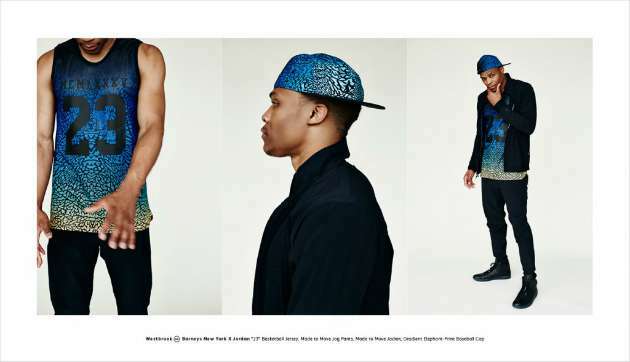 Over the last decade, NBA players have staked their claim as the most fashion forward athletes in sports, but when the still conservative world of sports smashes together with the avant-garde world of high fashion shoots, the results can be a little ridiculous. Recently Dwyane Wade raised some eyebrows by sharing a photo from a recent photo shoot with Esquire, along with the hashtag #IfYouCantPullItOffYouWontUnderstand to explain his two-coats, no-shirt look. ​The post got us thinking about all the other NBA fashion shoots that have led to wonderfully odd photos. 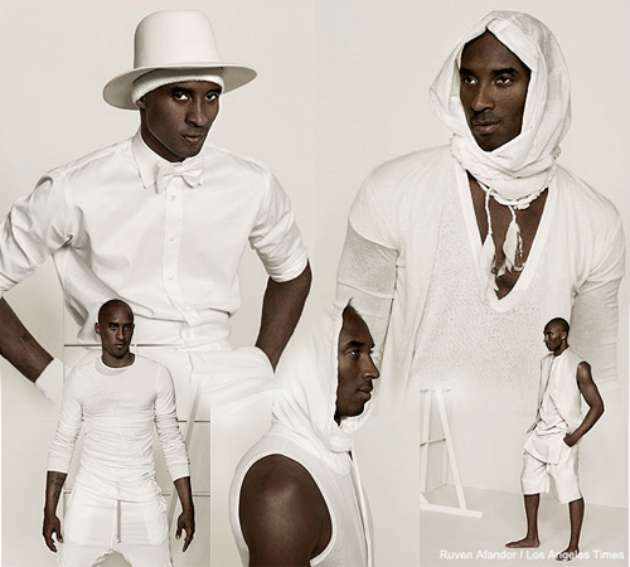 The godfather of all weird NBA photoshoots is definitely this all-white everything set up from a 2010 LA Times magazine pictorial that was quickly disavowed by Kobe Bryant as it launched itself into internet infamy. Bryant's scarf wrapped face and headband/pilgrim hat combo serve as a constant warning to players to get a second opinion on all stylists wardrobe decisions. 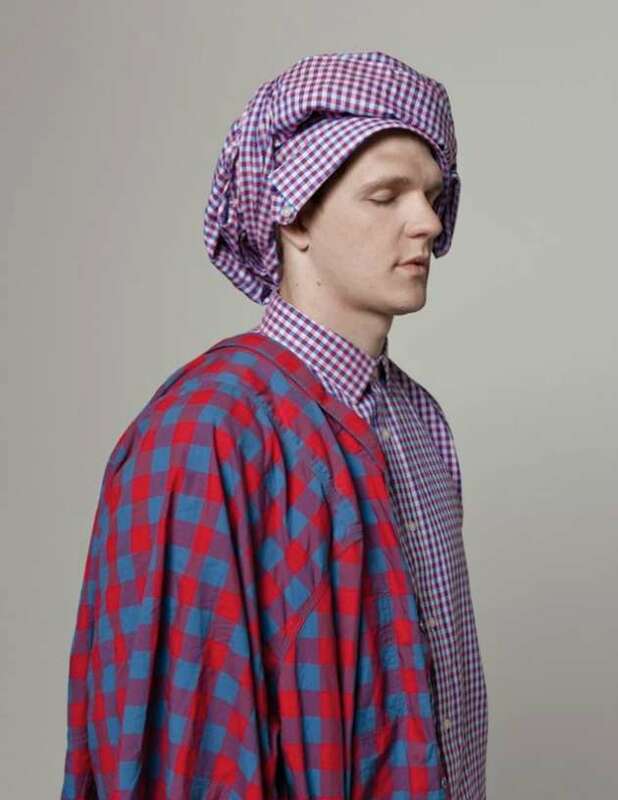 It seems a plaid craze hit Russian menswear last spring, as Russian Esquire ran a photo shoot with Cavaliers center Timofey Mozgov not just wear shirts covered in the pattern but also placing them on his head and draping them off his shoulders. Eventually they just tied a bunch together and wrapped the big man in clothes. 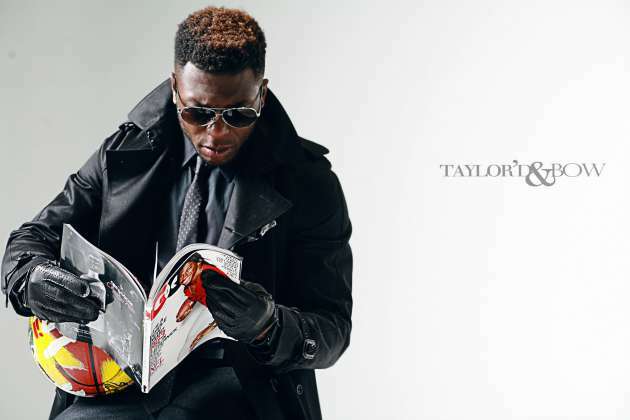 Not content with his image as a dunk champion and possessor of seemingly boundless reserves of confidence an energy, Nate Robinson decided to show off his ability to dress like a stylish extra from The Matrix in a 2013 interview with Taylor’d & Bow. 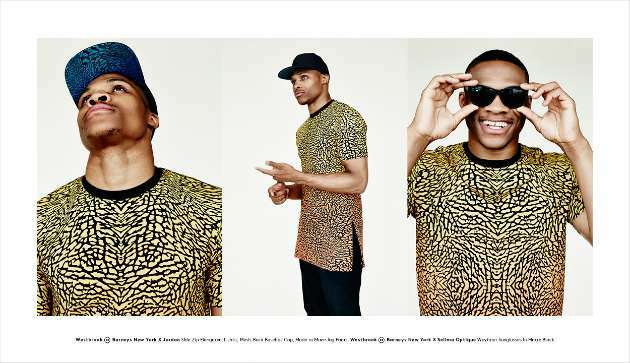 ​The marriage of basketball and fashion does not always lead to awkwardness though, as seen by Russell Westbrook’s recent collaboration with high-end department store Barney’s on a line that featured a comparatively reasonable lookbook for the clothing line.